....I never promised you a rose garden.A pink rose from a bunch of roses that I bought at the supermarket today. I love all the different layers of a rose. Thankk you for yesterdays pp & tps, much appreciated. A beautifully shaped rose Carole. Well caught. 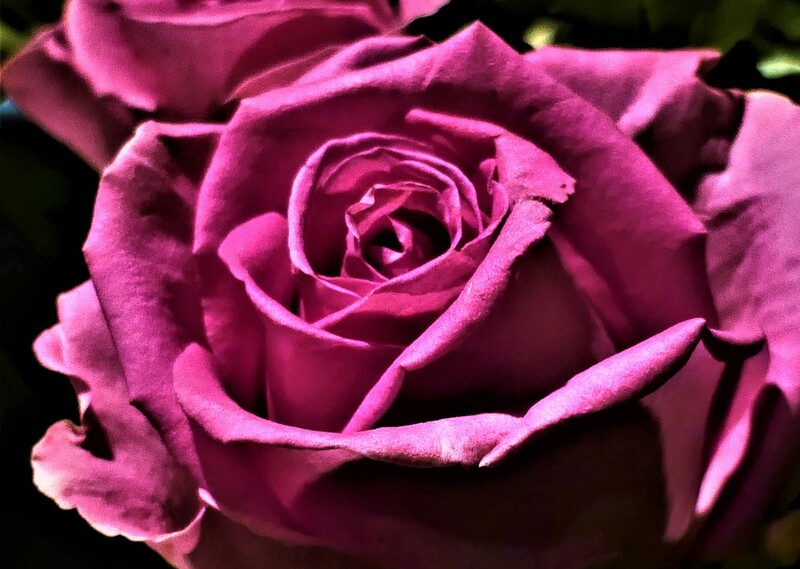 A beautiful rose - love the light and shades in all the curves ! Locket folds of the rose petals. Although roses aren't my favorite flower I do think they have some of the prettiest petals- especially the way they unfold. Beautiful shot. Super close up... the colour is amazing. Beautiful close up and lovely colour. Ah, you have me singing that old song now! Herman's Hermits, wasn't it? Lovely. Terrific close up. The colour is wonderful. Fav. A beautiful shot. Gorgeous colour.